Premise- One player faces “The Cube” by stepping inside the 4x4x4 meter Perspex cube and completing seven games/challenges. The games played on the show are deceivingly simple and easy to complete, and are even given simple one-word name (such as “Memorize” and “Reflex”). But, when these games are played inside the small confines of The Cube with big money at risk, it can make even the easiest and simplest tasks almost impossible to complete. The player is given nine lives to complete seven tasks. Before the contestant plays each game, each game is demonstrated by “The Body”, a faceless female character who is an expert in every game played inside The Cube. Every time a player successfully completes a challenge, they move up the money ladder (shown in the picture to the right). Every time a player fails to complete a challenge, they lose a life and they must repeat the challenge until won. The player can use two helps (“Simplify” and “Trial Run”) at anytime if they come across a challenge that is too difficult to complete, but they can only use each help once. “Simplify” simplifies any game the player chooses and makes it easier for them to complete the challenge. “Trial Run” gives the player the opportunity to try the game once without any consequences before deciding whether they want to take on the challenge or not. Players may end the game and take the money after completing any challenge, but if they use up all nine of their lives at any time while they are inside “The Cube”, they leave the show with nothing. However, if the player can complete all seven games, they will win £250,000. Before I begin my review, in this review I will be making multiple comparisons between this show and Minute To Win It. Minute To Win It is an NBC game show whose format is similar to The Cube, with one of the few differences being the focal point of Minute To Win It is the 60-second clock the contestant must overcome in order to win the games. The Cube is a game show that puts their contestants’ speed, focus, strategy, accuracy, memory, hand-eye coordination, nerve, physical and mental skill to the ultimate test. The Cube is an excellent example of how Minute To Win It should be played. This show is the coolest, most interesting stunt-based game show I have ever seen. This is the show that truly tests a person’s bravery and confidence in themselves, in terms how well they think they can play the game with tens (or hundreds) of thousands of dollars at risk. The games played on The Cube are deceptively simple to play, such as stacking blocks or throwing an object into a container, but are more difficult to play once the player steps inside The Cube. 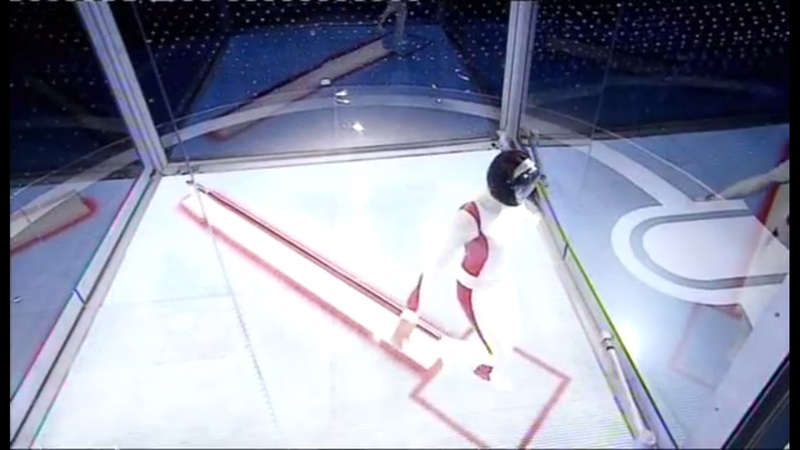 The games on The Cube are more difficult to play than on the game on Minute To Win It, because as opposed to Minute To Win It where the player has multiple attempts to complete a challenge before time runs out, The Cube’s games require their players to be incredibly accurate and win their games in less than three attempts. So, the question is: “Why are these simple games difficult to play once the players step inside The Cube?” The confines of The Cube was built and designed to throw off a player’s concentration and disorient their field of vision, which makes it all the more difficult for the player to play distance-type games due to their slightly impaired spatial awareness. The games are also designed to mess with the player’s mind, daunt them from doing well in the other games, second guess their own judgment, and to also increase their heart rate and adrenaline to further throw off their concentration. The Cube is also more of a psychological game than a physical game, which makes each show interesting and fun to watch. As I watched multiple episodes of The Cube, I noticed that the players who fail a challenge on their first or second attempt are more likely to rush through their next attempt and fail. 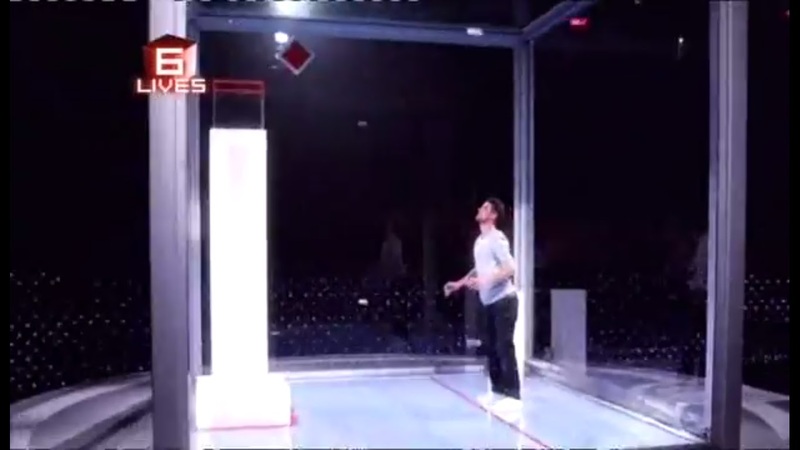 The player s on The Cube are more humbled by the challenges they have to overcome when they first enter the Cube, as opposed to Minute To Win It, where the players guarantee themselves million-dollar cash prize. Also, as each player’s game progresses, the Cube aims to seek out the player’s weakness and uses it against them in future challenges during their game in order for the Cube to remain undefeated. 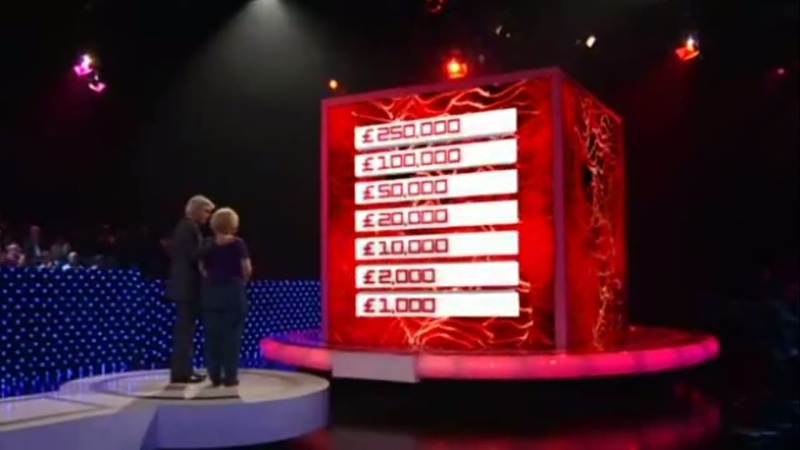 Once the players reach the £50,000, and £100,000 levels, The Cube sometimes tempts the players to play a challenge that is easier than the previous games they played that day. This makes their decisions on whether or not they want to play the next game more difficult, especially knowing that losing all nine of their lives during any game lost all their money. Minute To Win It, on the other hand, has multiple milestone points and the player’s decisions to play the next games or not are not difficult at all, since the players have cash to fall back on, whether it’s $1,000, $50,000, or $250,000. Besides the game play, the elements that really impressed me about The Cube are the set, the cool CGI graphics shown on the faces of the Cube, host Phillip Schofield, the amazing freeze-frame “Matrix-esque” instant replays, no abrupt commercial breaks, and the show is not completely fixated with the player’s life (as on Minute It To Win It), but is more focused on the player’s actual game play (as it should be). Because of how challenging and intense some of the games are, the viewer sees the player’s raw emotion and in some instances, you find yourself cheering on the players out loud from your own couch (I know I did!). Phillip Schofield is a wonderful host of this show. He reminds of Peter Tomarken a little bit, in terms of his quick wit, good sense of humor and excitement for the players every time they complete a challenge. In some games, Schofield was more excited that the players won their challenges than the player was. I also like how Schofield provides the players with statistics about each game (ex. average lives lost in each game, which gender is better in each game, etc.) to help the players make their decision. Overall, The Cube is an excellent game show with challenge gameplay. This high stakes, high risk game show is filled with fun and serious moments and in order to succeed and beat the Cube, one has to be mentally fit. The Cube is more exciting, entertaining, intense and nerve-racking (in a good way) to watch than Minute To Win It is. 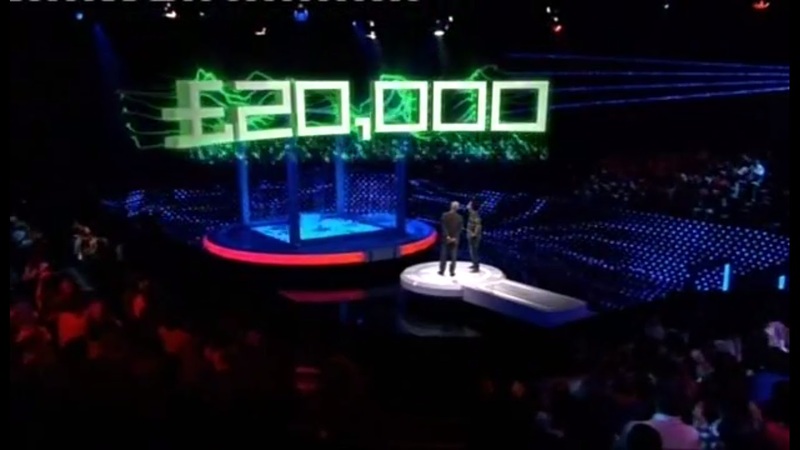 No one has defeated the Cube yet, but two contestants have made it to the final £250,000 game, to only stop the game and take the £100,000 they have already won. In 2010, CBS taped a pilot of The Cube with host Neil Patrick Harris and a $500,000 grand prize in response to Minute To Win It’s success. I hope CBS picks up this show, but I haven’t heard any news concerning CBS picking up this show. Meanwhile, back in the U.K., The Cube has been renewed for a fourth season and since I can’t see it in the U.K., I will be looking forward to see new clips and episodes from the upcoming season. The Cube can be beaten, but in order to successfully beat the Cube, there’s one rule one must always keep in mind when playing the games inside the Cube: “Measure twice; Cut once”. For you U.K. viewers out there, watch The Cube Sundays at 7:00pm on ITV1! I have been following “The Cube” on YouTube for some time now. When I find something I really like, I feel I have to “beat the drum” about it, and I have been “beating the drum” about “The Cube”. I've shown it to several friends, who have varying tolerances for game shows. Even those who are not game show fans will admit that “The Cube” is excellently produced. And those of us who are receptive to it really go for it. Oh, I'll watch “Minute To Win It”, and will even appreciate some of the foreign clips, which may strike some as done better than our own. But “The Cube” has “Minute To Win It” beat all hollow when it comes to style and suspense. I look forward to showing it to more of my friends and acquaintances.